narcoleptic in a cupboard: Random Thursday! I'm having a go a joining in with the Random-ers at Live a Colourful Life this week! I've spent years, decades avoiding the stuff when need be. For some reason, I picked one up with my shop the other day. 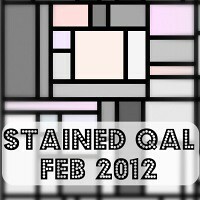 Also got some quilting advice from my granny, who doesnt quilt, last night. Apparently someone told her that Denim needles are the best sewing machine needles for quilting! Anyone heard that before? I've got some kicking around somewhere so as soon as I next sew I'll try it. 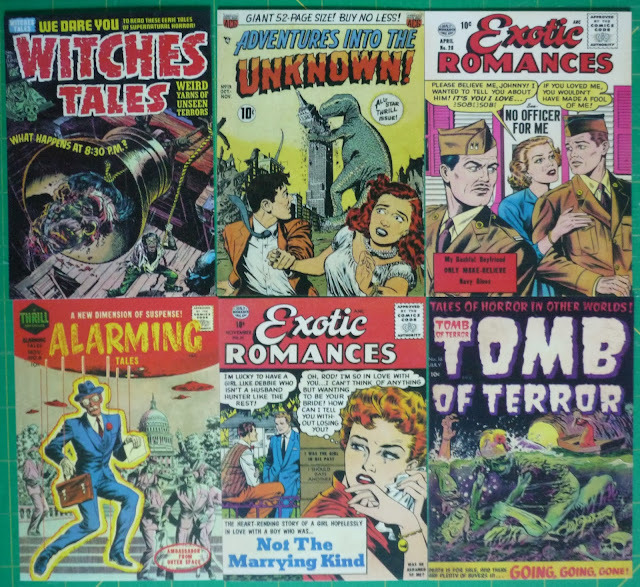 A beautiful box of 100 postcards, each showing a cover of a 1950's comic book. Freakin AWESOME. Random enough?! Yes those cards are pretty random--but cool! I usually use microtex needles. Let me know what you think about the denim needles. Love the cards. Took me till way into my 30's to like blue cheese, pears & wine. The jeans needles are probably great for machine quilting, especially if you want to use thicker thread. They are sturdy needles and suitable to go through thick materials. If I have them, I use specific quilting needles for machine quilting, and always thin (60 or 65) microtex or sharps for piecing. Schmetz have a good overview of machine needles at http://www.schmetzneedles.com/schmetz-household-needle-chart/... Love the cards! I tried Persimmon for the first time last year - Loved them but then couldn't find them again :-( Already bought a few packs this year and even had one for lunch today - very tasty. I keep thinking I should like mango - then I eat it and still don't. But I used to hate tapioca, and now I love that. I had to look up courgettes - we call it zucchini. Maybe you would like it better if you called it zucchini? Love the Exotic Romance cards! Too funny. I used to chop up mango and whiz it up with a hand blender. Instant baby food both girls loved. Yeah, I use jeans needles when machine quilting - but only because I am really still a beginner and they are the sturdiest needles I have. I also use jeans needles for inserting zips into garments and they work a treat! Love they cards, funny about the mongo. Love courgettes but HATE celery.